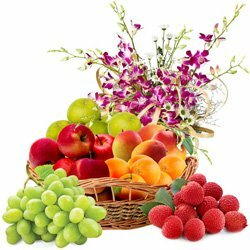 Send Fresh Fruits to Mysore Online as with mouth-watering taste and amazing health benefits a Fresh Fruits Basket is perfect gift for anyone who care about healthy eating. 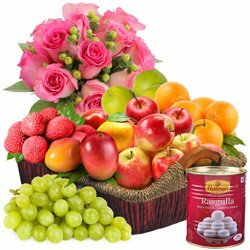 Browse our exclusive website for Sending best collection of Fresh Fruits Combo Gifts like Seasonal Fruits Basket with delicate Pink Roses Bunch, nutritious Fresh Fruits Grandeur with Haldiram Sweets, Chocolate Bookey with goodness of Mango Basket or Fresh Baked Cakes with Orange Basket and so on at a Low Price. 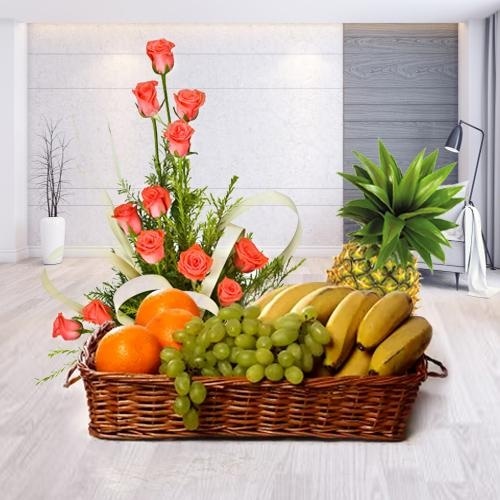 Send Same Day Delivery of Fresh Fruits to Mysore through us and get assurance of Quick Delivery within 4-6 hours with Free Shipping at all places of Mysore like Rama Krishanagar, Chamundipuram, Ramachandra Agrahara and so on. 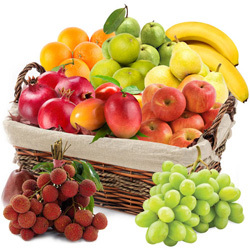 Fresh Fruits is loaded with proper heath benefits: natural vitamins and minerals that we need for healthy living. 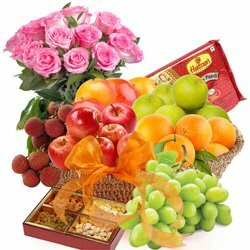 Send Fresh Fruits Basket to Mysore Online for your near and dear one and treat them with something super special and healthy. 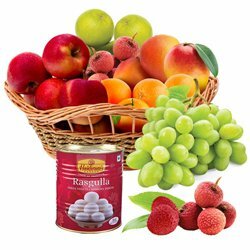 We offer wide variety of flavorful Fresh Fruits and Gifts at Low Cost such as Grapes, Coconuts, Pine-Apples, Pomegranate, Mangos, Bananas, Pears, Strawberries, Litchis, Oranges, Apples etc that comes carefully packed in designer Basket. 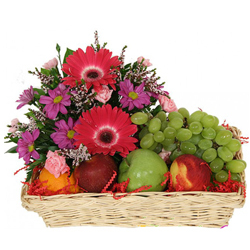 Sending Fresh Fruits is an easy job that can be done in just few clicks. 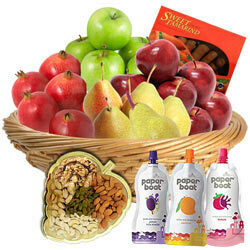 Place your Order now and avail Assured Fruits Basket Delivery in Mysore without any Shipping Charge. 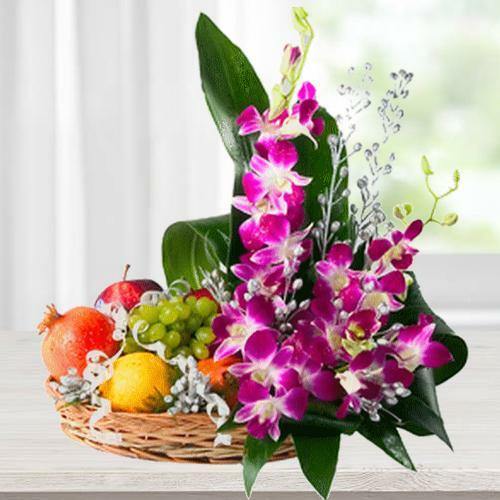 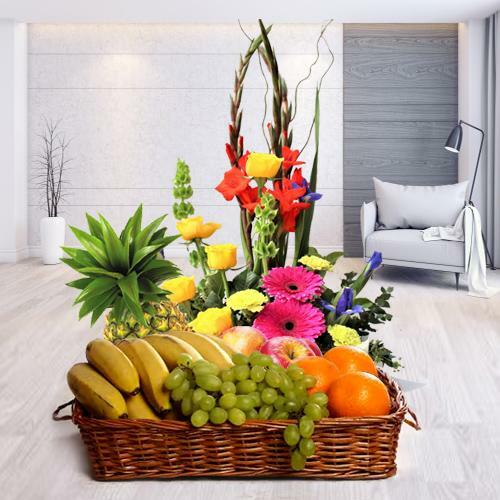 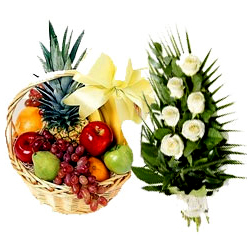 Whatever the time or occasion of the year say Valentine�s Day, Mother�s Day, Christmas, thanksgiving, Birthday, Anniversary or simply a time to express your love caring, Sending Fresh Fruits Basket to Mysore as a Gift for loved ones is eagerly welcomed. 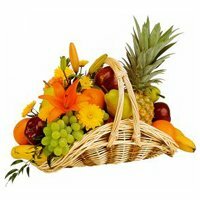 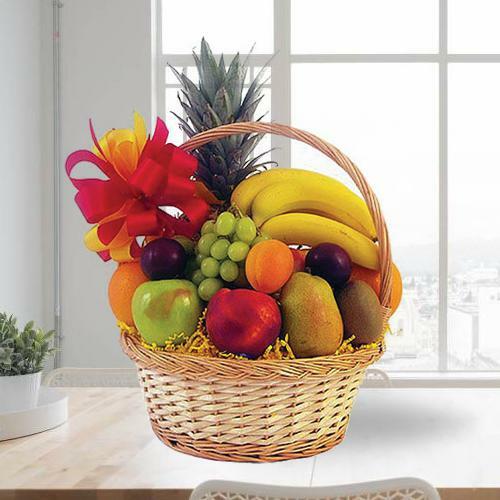 Whether you are seeking for delicious Mango Basket, Orange Basket, Pomegranate Basket or Mixed Fruits Baskets that include your Favorite Fruits like Bananas, Litchis, Apples, Pineapples and Oranges etc, you can easily select and Send Fresh Fruits Basket to Mysore Online at Low Price by Ordering Online through us. 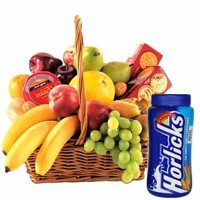 When you are short of good ideas to send thoughtful Gift for someone who is health freak; nothing can be better than Sending Fresh Fruits Basket to Mysore Online which can easily satisfy a sweet tooth. 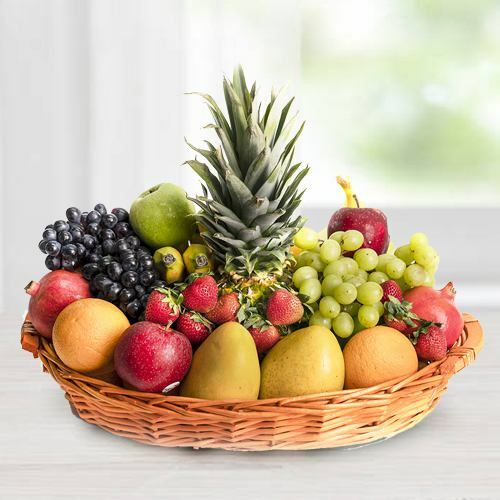 To match up this healthy treat, our e-shop has come up with wide selection of Fresh Fruits like Mango, Orange, Grapes, Guavas, Strawberry, Pineapple, Papaya and various other Seasonal Fruits at pocket friendly price. 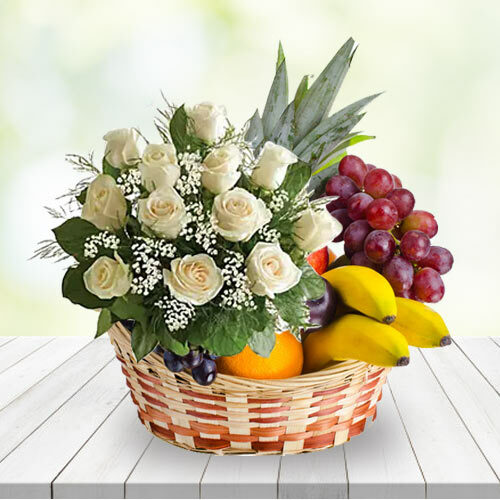 You can also Add-on fragrant Floral Arrangements, tasty Dry Fruits platter, assorted Chocolates Bookey, Cakes etc to Send Big Fresh Fruit Basket to Mysore available online that can portray love and care for the recipient perfectly. 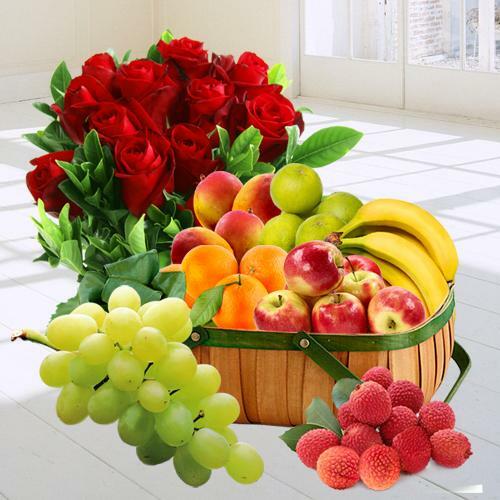 Place your Order for Online Delivery of Fresh Fruits in Mysore and avail our Free Same Day or Midnight Delivery service as per your choice and get assured Fruit Gift Basket Delivery in Mysore right on time.